In this guide, we will look at all the common prejudices that have been long held as true when it comes to learning how to grow your nails fast. We will consider the facts and myths about the effects of different remedies on the speed of nail growth and provide some visual tricks for making your nails look longer with nail polish. Over the years, the beauty science has confirmed – and displaced – a number of facts and myths about the effect of different mediums on the speed of nail growth. Though none of the following is an absolute truth, we’ll try to focus on strengthening your nails in general if not making them grow faster. So now let’s look into the details. 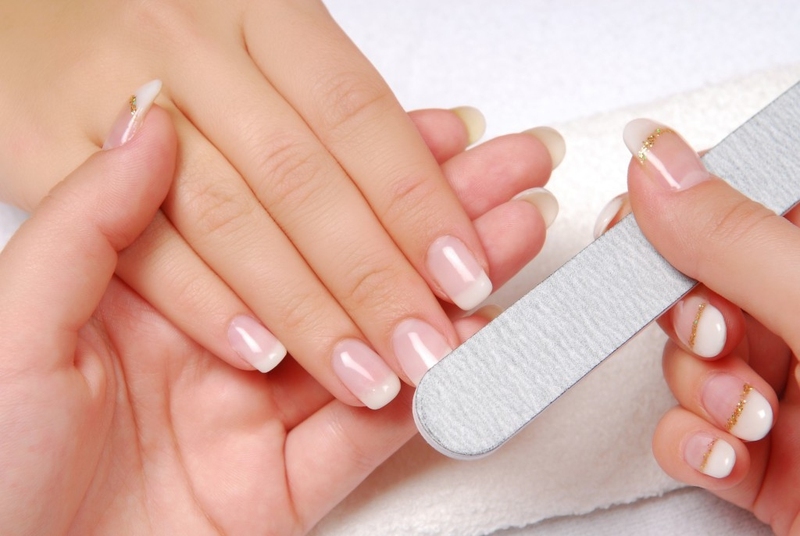 It was reported that no dietary supplements can really affect how fast your nails can grow. However, you can take biotin and calcium to make your nails stronger and help them not to break too easily. Biotin is sold as a separate supplement or you can find some vitamin variations that contain this element. There is no evidence that any of the common traditional remedies like garlic and other herbs can help you achieve a faster growth speed for your nails. So probably, there’s not much use in rubbing garlic cloves into your nails, though a slight healing effect can show in general. It is a popular opinion that getting your fingers busy – for example, by playing the piano, typing on the keyboard, or waving them in the air for hours and hours can make nails grow faster because of a higher blood supply to your fingers. However attractive and easy this idea is, there is no evidence that any of these methods can affect your nail growth in any way. More than this, getting your fingers busy may have a reverse effect, as you can break them much easier than when you keep them at rest most of the time. This common misconception comes from the fact that a lack of protein in your diet can lead to more nail cracks and make your nails grow much slower. However, no evidence shows that the contrary is true. Unfortunately, no protein diet can make your nails grow faster specifically, so don’t bother going on this diet unless you have any other reasons. What we know for sure is that keeping your fingernails protected from any external influences and pressure can indeed help you retain their length. This is not a direct method on how to grow your nails fast, but by wearing gloves and engaging in fewer activities that involve your hands, you have more chances to preserve the ideal length of your nails without breaking them. This rings a bell as fall and winter are approaching. Just like any other part of body, your hands and fingernails need extra moisturizing in the cold seasons to prevent themselves from drying out and thus becoming more exposed to cracking up. Figure out what moisturizers work best for your skin type and stock them up to ensure your nails are kept well lubricated at all times. Although you can’t really trick the nature and work your magic on how to grow your nails fast, you can pamper your impatience with some purely visual tricks. You will need just a skillfully applied nail polish and the right approach to make your nails look longer when in fact they’re shorter! When you’re done applying a nail polish base (use the matte one for a greater effect), you can start with the right colors that would make your nails appear longer. Applying a plain or pastel nail polish colors that are one tone lighter than your skin is a great method that works even on the shortest nails. You can choose either a matte or gleam lacquer but avoid using any expressly white colors as they would ruin the entire effect. Despite common opinions that dark colors are not suitable for short nails, give it a go and you will see that these magic hues can indeed help you make your nails look much longer! Also, these colors would emphasize the shape of your nails, so that you can configure the whole look according to your own preferences, making nails look narrower and slimmer than they actually are. The same as with dark colors, all the shades of red have just this capacity to lengthen your nails visually and shape them properly. These colors work great for some special occasions, though wearing them on a daily basis is a good way to build up your unique look and emphasize your gentle (and a bit dangerous) femininity. If you are up to creating an elegant design, go for applying contrasting colors. The only trick to remember is that the lighter shade always comes first at the root of your nails that is close to the cuticle. If you mess it up and apply it vice versa, you will rather achieve a completely opposite effect of shortening your nails. Just like with the patterns on your clothes, vertical stripes are likely to visually make your nails longer. Apply stripes of darker shades on your base color for a perfect effect. If you are a fan of bold nail art, go for it! Painting your nails in bright, funky designs is likely to distract attention from the length of your fingernails altogether, so that you won’t have to bother about it! Try different designs for different fingers, as this trick relies on distracting people’s attention on the length of nails in general.